If you're looking for a reliable food and drink display solution, then look no further! 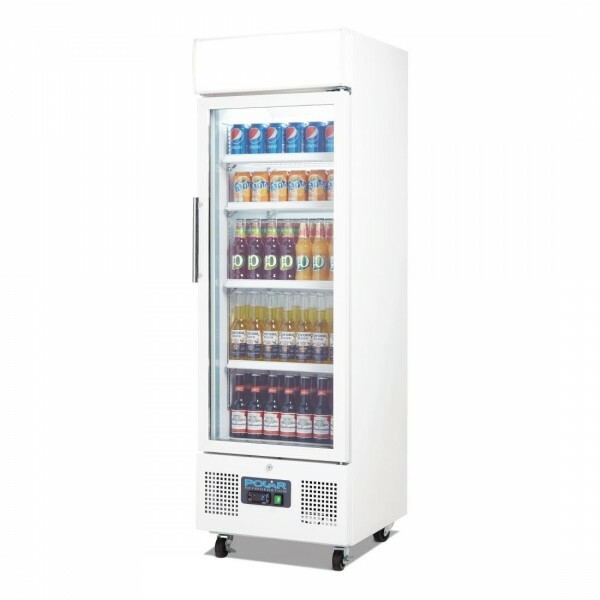 The Polar chilled display fridge is compact and space saving, offering display over four adjustable shelves, ideal for showcasing drinks and snacks. 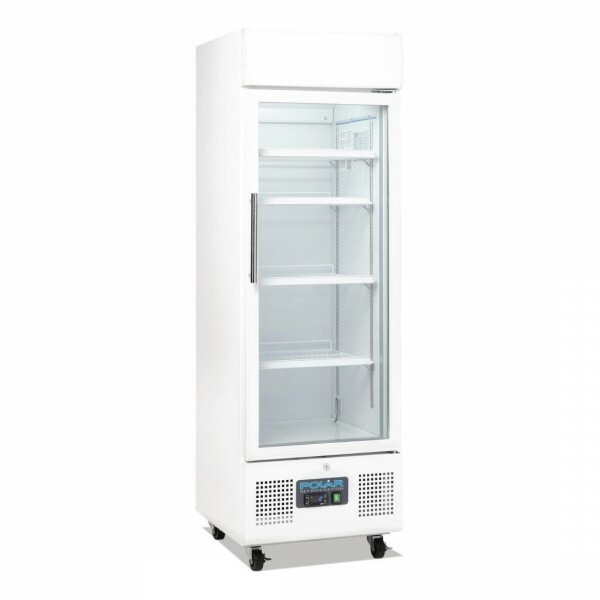 With built in lighting and an overhead display panel, you can ensure your products look their best, whilst still being easily accessible through the double glazed lockable door. Great for self-service retail outlets as well as cafes and bars.